1516 Death: Ferdinand II of Aragon; succeeded as King of Spain by his grandson Charles V.
1570 Death: James Stewart, the Earl of Moray, who was appointed Regent of Scotland on the abdication of Mary Queen of Scots; assassinated by the Hamiltons at Linlithgow. 1668 Holland, Britain and Sweden sign the Alliance of the Hague, known as the Triple Alliance, under which they agree to aid one another if attacked. 1719 The Principality of Liechtenstein is formed by the amalgamation of Vaduz and Schellenberg. 1737 Birth: John Hancock, US statesman and patriot, President of Continental Congress 1775-1777, first to put his signature on the Declaration of Independence â€œIâ€™ll sign it in letters bold enough so the King of England can see it without his spectacles on!" "...He played an instrumental role, sometimes by accident, and other times by design, in coaxing the American Revolution into being. Born in Braintree, Massachusetts in 1737, he was orphaned as a child, and adopted by a wealthy merchant Uncle who was childless. Hancock attended Harvard College for a business education and graduated at the age of 17. He apprenticed to his Uncle as a clerk and proved so honest and capable that, in 1760, he was sent on a business mission to England. There he witnessed the coronation of George III and engaged some of the leading businessmen of London. In 1763, his uncle died and John Hancock inherited what was said to be the greatest body of wealth in New England. This placed him in a society of men who consisted mainly of loyalists, suspected by the working population because of their great affluence and social power. Hancock, however, soon became very involved in revolutionary politics & his sentiments were, early on & clearly, for independence from Gr. Britain. He was in company with the Adams' and other prominent leaders in the republican movement in New England. He was elected to the Boston Assembly in 1766, and was a member of the Stamp Act Congress. In 1768 his sloop Liberty was impounded by customs officials at Boston Harbor, on a charge of running contraband goods. A large group of private citizens stormed the customs post, burned the government boat, and beat the officers, causing them to seek refuge on a ship off shore. Soon afterward, Hancock abetted the Boston Tea Party. The following year he delivered a public address to a large crown in Boston, commemorating the Boston Massacre. In 1774, he was elected to the Provincial Congress of Massachusetts and simultaneously to the Continental Congress. When Peyton Randolph resigned in 1776, Hancock assumed the position of President..."
1793 Russia and Prussia agree to a second partition of Poland. 1806 Death: William Pitt the Younger, twice British prime minister. 1900 Boer War: The British attempt to break through the Boer lines to relieve Ladysmith but are thwarted at the Battle of Spion Kop. 1907 Charles Curtis of Kansas begins serving in the United States Senate; the first American Indian to become a US Senator. 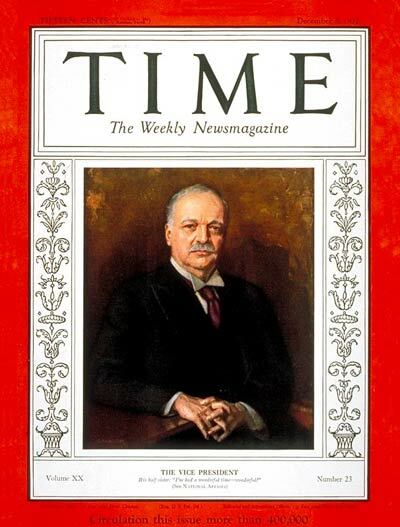 He will resign in March of 1929 to become President Herbert Hooverâ€™s Vice President. 1915 WW1: A German battle cruiser squadron under Vice Admiral Franz von Hipper moves out to raid the English coast and harass the British fishing fleet. 1916 Birth: David Douglas Duncan, photojournalist, author; The World of Allah, Viva Picasso, This Is War! : A Photo Narrative of the Korean War, Picasso Paints a Portrait, Great treasures of the Kremlin. 1932 Russia concludes a nonaggression pact with Finland. 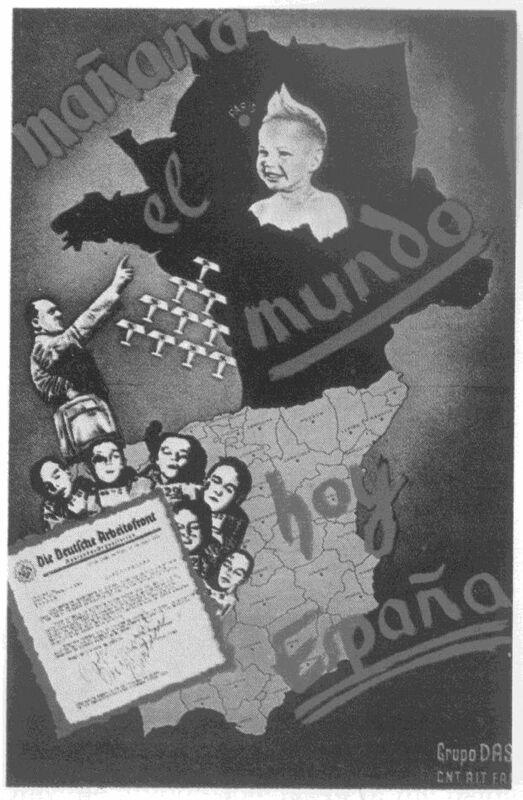 1933 Molotov makes a speech announcing ratification of nonaggression pacts with all of Russia's neighbors except Romania. 1936 Utah Senator William H. King urges the US to open its doors as a haven for Jews fleeing Germany. 1937 The trial of 17 leading Communists begins in Moscow after they are accused of involvement in a plot led by Leon Trotsky to overthrow the regime and assassinate its leaders. 1939 WW2: Chamberlain announces the introduction of National Service and says, "It is a project that must make us prepared for war." 1943 Resistance: Underground Broadside: "On January 22, 1943, six months will have passed since the deportations from Warsaw began. We all remember well the days of terror during which 300,000 of our brothers and sisters were cruelly put to death in the death camp of Treblinka. Six months have passed of life in constant fear of death, not knowing what the next day may bring. We have received information from all sides about the destruction of the Jews in the Government-General, in Germany, in the occupied territories. When we listen to this bitter news we wait for our own hour to come, every day and every moment. Today we must understand that the Nazi murderers have let us live only because they want to make use of our capacity to work to our last drop of blood and sweat, to our last breath. We are slaves. And when the slaves are no longer profitable, they are killed. Every one among us must understand that, and every one among us must remember it always. During the past few weeks certain people have spread stories about letters that were said to have been received from Jews deported from Warsaw, who were said to be in labor camps near Minsk or Bobruisk. Jews in your masses, do not believe these tales. They are spread by Jews who are working for the Gestapo. The bloodstained murderers have a particular aim in doing this: to reassure the Jewish population in order that later the next deportation can be carried out without difficulty, with a minimum of force and without losses to the Germans. They want the Jews not to prepare hiding-places and not to resist. Jews, do not repeat these lying tales. Do not help the [Nazi] agents. The Gestapo's dastardly people will get their just deserts. Jews in your masses, the hour is near. You must be prepared to resist, not to give yourselves up like sheep to slaughter. Not even one Jew must go to the train. People who cannot resist actively must offer passive resistance, that is, by hiding. We have now received information from Lvov that the Jewish Police there itself carried out the deportation of 3,000 Jews. Such things will not happen again in Warsaw. The killing of Lejkin proves it. Now our slogan must be: Let everyone be ready to die like a man! January 1943"
1943 WW2: British forces under Field Marshal Montgomery capture Tripoli, Libya. 1943 WW2: After nine days of talks in Casablanca, President Franklin D. Roosevelt and British Prime Minister Winston Churchill agree to put an invasion of Italy ahead of opening a second front in northwestern Europe. 1944 Death: Edvard Munch, Norwegian artist. 1945 WW2: St. Vith is taken in an attack by armored units of the US XVIII corps. Allied air attacks inflict extremely heavy losses to the Germans falling back over the Our River. 1960 The US navy bathyscaph Trieste, manned by Jacques Piccard and Donald Walsh, dives to a record depth of 35,810 feet (10,916 metres) at the Marianas Trench in the Pacific Ocean. 1963 Harold 'Kim' Philby, British journalist in Beirut, disappears. Later in the year it will be revealed that he is the third man in the Burgess-Maclean espionage affair and has been granted asylum in Moscow. 1968 North Koreans seize the American spy-ship USS Pueblo, claiming it is spying. The crew will be held until December. 1969 The British government rejects proposals to legalize cannabis. 1970 Chicago 7: Judy Collins is refused permission to 'sing testimony' at the infamous trial. 1971 Prospect Creek Camp, Alaska: The lowest temperature ever recorded in the US; minus 80 degrees Fahrenheit. 1978 Baron Edouard-Jean Empain, one of Europe's most powerful industrialists, is kidnapped in Paris; he will be freed on March 26. 1983 The Soviet satellite Cosmos 1402 enters Earth's atmosphere and crashes into the Indian Ocean. 1989 Death: Salvador Dali, Spanish surrealist painter and sculptor. He is buried in a crypt under a glass dome in the Dali museum in Figueras, in Catalonia. 1996 South Korean prosecutors formally charge ex-presidents Roh Tae-woo and Chun Doo Hwan with sedition over events surrounding the 1980 army massacre of pro-democracy activists in Kwangju. 1997 The Swiss government, three banks and some businesses agree to set up a private sector humanitarian fund for Nazi Holocaust victims and their heirs. Reportedly, the neutral Swiss profited from millions of dollars worth of gold deposited some fifty years earlier by victims of the Holocaust. It seems that the gold was also used to make deals with the Nazis.